Hyderabad: British telecom services company Upaid Systems Ltd said it filed fresh litigation against embattled Satyam Computer Services Ltd alleging the computer services company tried to “avoid its legal obligations" in a pending legal dispute. /Content/Videos/2008-12-20/1912_Taneesha disco_MINT_TV.flvd9a83818-cddf-11dd-a370-000b5dabf636.flvThe business litigation assumes greater significance in light of Satyam’s disastrous attempt to diversify through the acquisition of two infrastructure companies primarily owned by the sons of its chairman B. Ramalinga Raju for $1.6 billion, or Rs7,568 crore, earlier this week. Faced with an uproar from investors who drove the company’s US-listed shares down by some 54% hours after the deal was unveiled, Satyam made a U-turn, citing investor unrest, to walk away from the proposal. Upaid’s latest filing through a new motion in Collin County, Texas, requests the court there to order depositions from Raju, chief financial officer Srinivas Vadlamani and global head of corporate governance G. Jayaraman in connection with the “attempt earlier this week to strip all surplus cash from the company in a $1.6 billion related-party transaction benefiting the family of Satyam’s founder". In April 2007, Upaid filed a lawsuit in the Texas court against Satyam—India’s fourth largest computer services company—alleging fraud, forgery, misrepresentation and breach of contract involving transfer of intellectual property rights issues arising from a project the firms jointly worked on in late 1090s. Satyam was an outsourcing vendor for Upaid at that time. Upaid had sought damages of at least $1 billion. 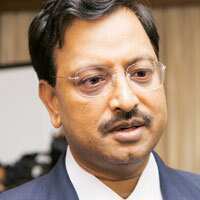 Satyam sought to block proceedings in the Texas court by appealing to the high court in London in September 2007 on grounds that the case should be pursued only under English law based on service agreements both parties had agreed on. Following a judgement by the London court in May, Upaid resumed legal proceedings in Texas. The suit is slated for a trial in June. A Satyam spokesperson declined to comment as “issues relating to Upaid are pending litigation". Raju told Mint in a September interview that he “would prefer not to talk about it. We have taken necessary steps to deal with the case in an appropriate manner in the courts". Upaid’s latest motion is also partly in response to an alleged “disparagement" claim that Satyam filed against Upaid in October in the district court. Meanwhile, the fallout from Satyam’s aborted dealcontinues. Despite announcing that the company’s board will meet soon to decide on a share buy-back, Satyam’s shares fell 3.87%, or Rs6.55 a share, on Friday to Rs162.80 a share on the Bombay Stock Exchange (BSE). Satyam management’s aborted decision to buy the two infrastructure companies have meant the company’s market capitalization has fallen by some 25% on BSE since Tuesday, potentially setting the company up for investor suits in the US that could seek so-called class-action status for investors there who have lost money because of the management flip-flop. “It is a matter of corporate governance and until investor concerns about those are squarely addressed, it is difficult for investors to have faith in the company," said Dipesh Mehta, a research analyst with Mumbai-based brokerage Khandwala Securities Ltd.